Newbridge is a town in County Kildare, Ireland. Its population of 21,561 (2011 Census) making it the largest town in County Kildare and the 15th. largest in Ireland. 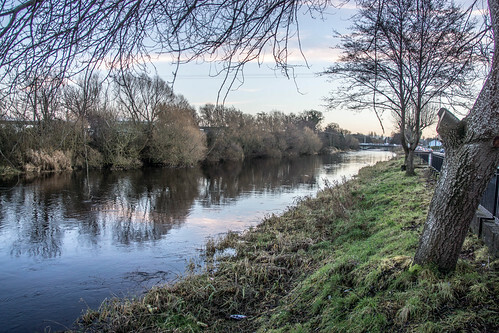 The town is located on the banks of the River Liffey, which provides a range of natural amenities. Upriver are towns such as Athgarvan, Kilcullen and Blessington, while downriver are the towns of Caragh, Clane and Celbridge. Newbridge is bounded by the Curragh Plains to the west, Pollardstown Fen and the Bog of Allen and Moulds Bog to the north west. Around the Curragh, and to the east are many important stud farms. To the south the motorway now forms a boundary to the town. Today Newbridge is a thriving town with a population approaching 21,661, a major centre for industry and commerce, within the South Kildare region.